New Zealand’s minister for women has cycled to hospital to give birth to her first child. Julie Anne Genter, a Green Party politician, said she went by bicycle because there was insufficient space in the car. The 38-year-old – who was 42 weeks pregnant – shared photos of her “beautiful Sunday morning” ride to the hospital in Auckland with her partner. Ms Genter, minister for women and associate minister for health and transport, is an outspoken cycling advocate. “This is it, wish us luck! (My partner and I cycled because there wasn’t enough room in the car for the support crew… but it also put me in the best possible mood! )” she wrote on Instagram. This comes weeks after New Zealand’s Prime Minister Jacinda Ardern went back to parliament after her daughter Neve was born. In June Ms Ardern became the second world leader to give birth in office – taking six weeks of parental leave from work. On returning to work, she noted she was “very, very lucky” and in a “privileged” situation in comparison with most women in New Zealand. Both her and Ms Genter – who also plans to take three months of parental leave – attended the public Auckland City Hospital. Earlier in August, Ms Genter said she was “40 weeks + 4 days” pregnant, and “still waiting” to give birth on Instagram. 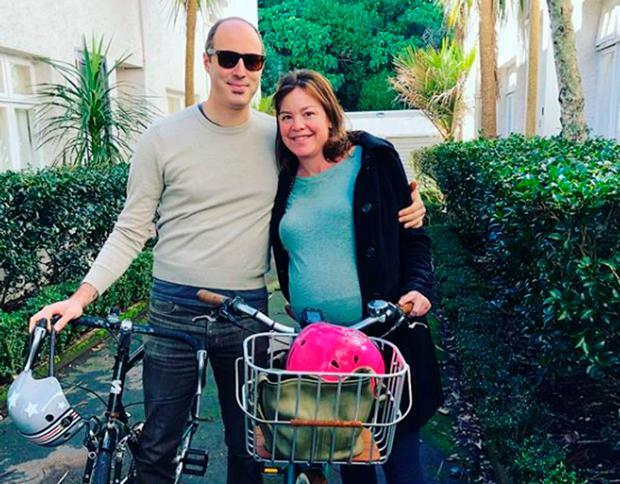 She has used her role as New Zealand’s associate transport minister to push for more people to cycle and even announced her pregnancy by saying she and her partner, Peter Nunns, would need to get new seats for their bikes. Benazir Bhutto, then Pakistan’s prime minister, became the first world leader to give birth in office when she had her second child in 1990. Ms Ardern announced she was pregnant in January – saying she would be both “prime minister and a mum”. Ms Genter, who was born in Minnesota and studied at the University of California, Berkeley, joined the Green Party as a volunteer just after migrating to the Australasian country in 2006. The axis between politics and pregnancy has gained increasing attention in recent years. Australia changed its rules in 2016 to permit lawmakers to breastfeed and bottle-feed while in the chamber of the House of Representatives. Swedish and Italian members of the European Parliament have voted while holding their babies.